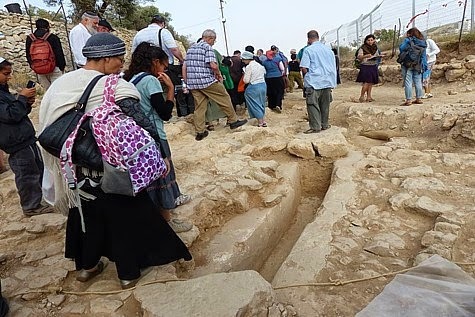 Remains of a Jewish settlement from the Second Temple period were partially uncovered in the western and southern sections of Tel Hebron, near Tel Rumeida in Hebron, and visitors were allowed to see them. 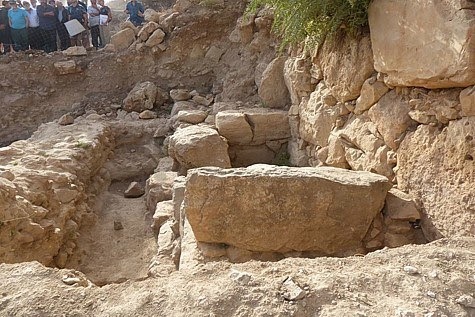 These remains were found outside the the Middle Bronze Age (the Patriarch period) wall that was previously found in Hebron. 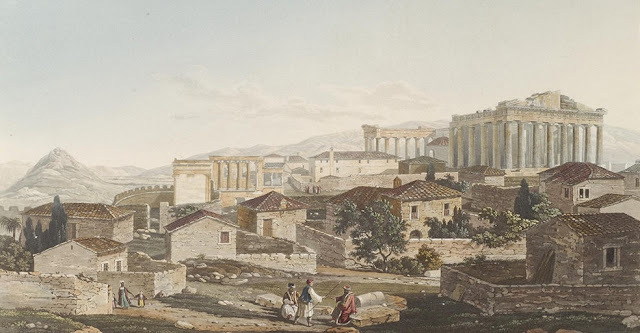 An industrial area was discovered with an olive oil press, cisterns, a workshop with a furnace and ponds. From the industrial area, there is a road that leads to the city square and center of the town, but that section hasn’t been excavated yet. 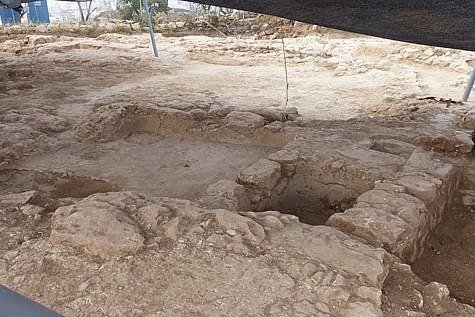 In an amazing find in the agricultural areas, stone tools were found, as well as a stamp in ancient Hebrew, with the words “King of Hebron” on it. Stone tools were used for ritual purity reasons. 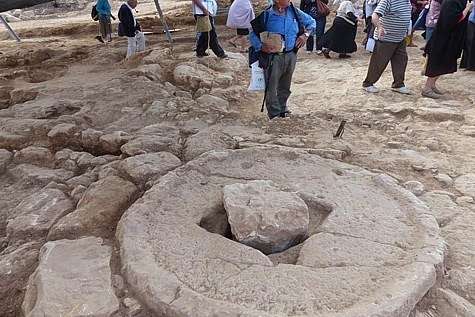 These excavations began years ago, but the archaeologists were forced to temporarily stop the dig, and now they’ve begun again, with new discoveries all the time. 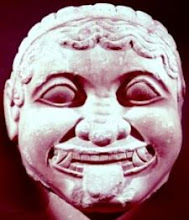 This is the evil side of archaeology. The land belongs to individual Palestinians. No consent from them have been sought or given. 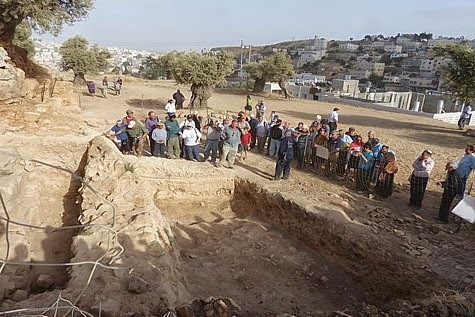 The excavation has largely been made by illegal Israeli settlers, who have used it to destroy Palestinian property on the site and nearby, including burning olive trees belonging to local farmers. 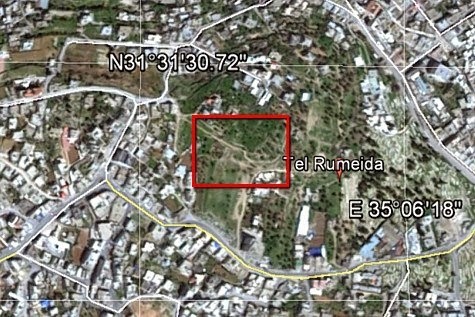 The claims made based on the excavation are politically based and can't be taken by face value, as the illegal Israeli settlers announced before the excavation began what they sought. 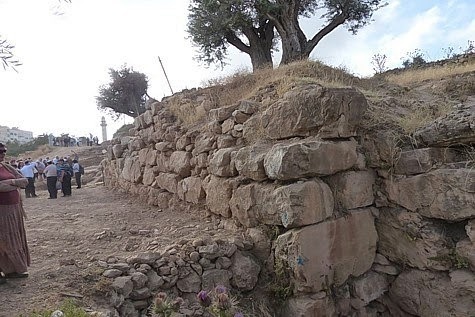 The leading Israeli archaeologist involved had to be at one point constrained by Israel's own occupation troops from destroying more property, including one ancient olive tree.